Also known as „The Centurion“, „Victory“ or „Awareness“, the seventh major arcana of the tarot indicates the necessity to manage your own energy. 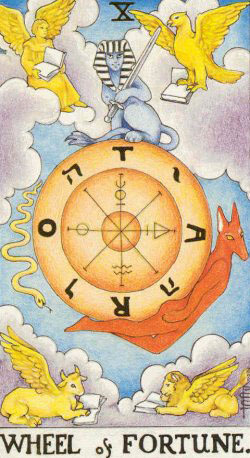 This tarot card is inspired by the legend of Phaethon, son of the Sun God (Apollo or Helios) in the Greek mythology. Phaethon (meaning „Shining One“) convinced his father to allow him to drive the sun chariot for a day. Once in the chariot, he wasn’t able to control the horses and the earth was in danger of being burnt up. To prevent this disaster, the supreme god Zeus killed Phaeton with a thunderbolt. The moral of this story is clear: energy, strength or leadership positions are good for the ones that can handle them. If you are not prepared, they become dangerous. 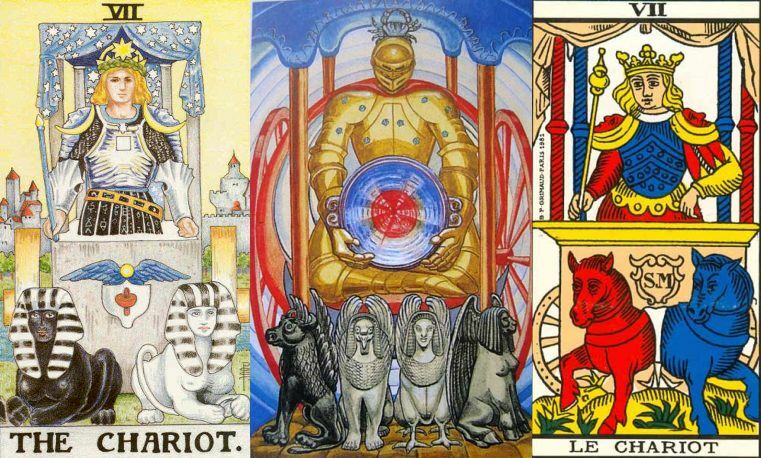 A young man sits in a chariot, pulled by two horses of different colours (Tarot of Marseilles), two sphinxes (Rider-Waite tarot) or four different animals (a bull, a lion, an eagle and a man), each of them representing one of the four elements (Thoth Tarot). The young man is crowned or helmeted and usually holds a sword or a wand. There are two crescent moons on his shoulders and he sits within a canopy of six-pointed stars. Behind the chariot there is a city. 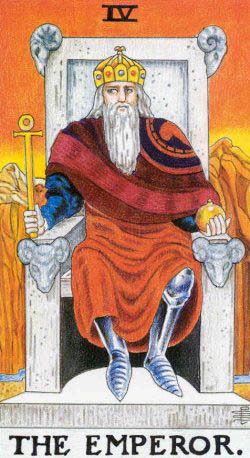 An important aspect is that the young man holds no reigns, controlling the chariot through strength and will. This major arcana is about understanding, controlling and changing your own energy. It invites you to discover your strengths and your weaknesses. Another important keyword is „travel“. Travels can help you to find a solution to your problems. Stop wasting time and energy on minor life decisions! Identify your career goals and do everything you can to achieve them! Right now is the proper time to assume risk in career and in business. Make investments, start a business (if you don’t already own one), search for a new job! Do something! A journey can be useful for your business. Maybe you will find business partners abroad. Or maybe you should accept a job in another city or even country. In love, the Chariot is a sign that you are going too fast in a relationship. Especially if we are talking about a new relationship, you really have to prevent yourself from getting „too excited“. Take a big breath, slow down and remember what Lao Tzu said about nature: „She does not hurry, yet everything is accomplished“. Another possible meaning of the Chariot: you may meet your love during a trip or maybe he (or she) comes from a foreign place (not necessarily an island far away). You are energetic, lively and forceful and you will remain so if you avoid health risks. Only drink when thirsty, eat healthy foods and sleep at least 7 hours a day. And, most important, learn how to prevent and to avoid any conflict. Asimov was right: „violence is the last refuge of the incompetent“. Another possible meaning when the Chariot appears in a tarot reading: do not push yourself too hard if you feel that it becomes dangerous for your health! 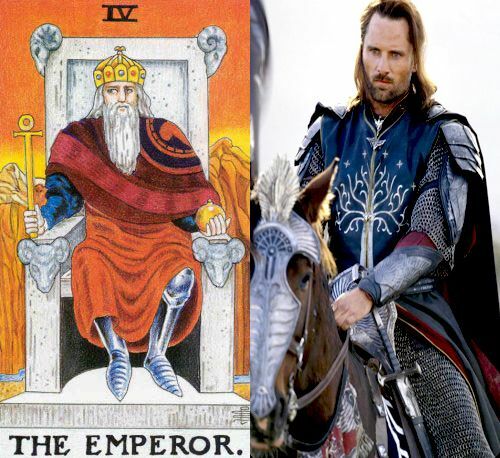 Share the post "The Chariot – Interpretation and Meaning of the Tarot Major Arcana"